This paper will clearly point out the positive attributes of effective parents. It also points out certain skills that parents must have to effectively shape their children’s behaviors. 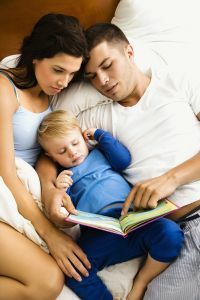 Effective parenting includes developing and clarifying clear expectations, staying calm in the midst of turmoil when your child gets upset, consistently follow through with positive and negative consequences, being a positive role model, role playing corrective behaviors and lastly, praising your child for his behavior. All these things are just beginning to be researched in depth, and this brief overview gives a sound basis for understanding the interesting relationship between parents and their children. Effective parenting has never been more important to a family’s success than today. Proper parenting shapes the coming generations, and the way the next generation will behave, affecting the world around them. History has taught us that parenting without a proper foundation has always and indefinitely lead to confusion for any developing child. That is why the attempt of trying to be a successful parent is so important and will be the most important job of one’s life. Knowing what healthy methods are best for one’s child during parenting is time consuming but a rewarding effort. Developing and Clarifying Clear Communicative Expectations. Before one concentrates his efforts on disciplining a child for misconduct, one must have a strategy, or game plan, for teaching their child how they are expected to behave (Christophersen, 2003, pg. 680). In addition, parents must model the appropriate behavior for their children if they want their children to be successful in their behavior, but that will be discussed later. First, developing clear expectation of what both parents want is the basis and the first steps to parenting. Depending on the background, or what is deemed as right and wrong, parents, within reason, should plan and communicate their expectation to each other. Creating a list of expectations (such as social, academic, religious, family oriented, personal appearance or hygiene) for different settings and activities will help parents be very specific and concrete in teaching their children (Burke, 1997, pg. 73). Some expectations are certainly more demanding than others; however, parents must take into consideration the child’s age, ability, developmental status, and resources that are available to the family (Burke, 1997, pg. 73). For example, expecting a four year old child to prepare dinner for the family and then punishing him for not meeting the expectations is very unreasonable due to his developmental status and age, as one can see. Ray Burke states, in his book, Common Sense Parenting, that one way to see if one’s expectations are reasonable is to answer these three questions: 1) Have you (as a parent) taught the expectation to your children, 2) Can your children clearly understand the expectations given, and 3) Can your children model and perform what you have expected (Burke, 1997, pg. 74-75). Clearly these three questions cover the majority of whether ones expectations for their child are realistic or not due to the child’s age and ability. Second, once both parents have set appropriate expectations and rules for their child, the next step is to communicate those expectations clearly to their child in word and in deed. One question to take into consideration is how one plans on communicating those expectations verbally (Burke, 1997, pg. 77). For example, if a child draws on the kitchen table, keeping the feedback positive and specific on what they should have done will have a clearer understanding of how he or she should perform in the future when confronted with a similar situation. Another question is how is one going to communicate those expectations through one’s behavior (Burke, 1997, pg. 77). By acting out the expectations that the parents have clearly stated to the child, the child will associate the “perfect model,” from the parents. Finally, another way of getting to express clear communicative expectations is to hold family meetings together. The family can set time out of the week to express what expectations are to be held within the family household, as well as going over any concerns or clarifications between both parents and the child. Doing this will only help improve the child’s behavior for the better not communicating expectations and then punishing one’s child can cause confusion, anger, and in sometimes spite in the child (Dodson, 1923, pg. 43). Staying calm is an important part before applying any positive or negative consequences to your child’s behavior. As Ray Burke states, “children can be sarcastic, defiant, rebellious, and possibly violent. Parents have to prepare themselves for times like these and learn to keep their cool (Burke, 1997, pg. 83).” There are times when children will make their parents so furious that the parents get caught up in the moment and as a result are not able to think properly. The parents must be aware of what is going on around them, they must know their limits to which the child pushes, and redirect situations back in focus to properly respond otherwise? Some tips that Burke offers in his book, Common Sense Parenting, are to; practice positive thinking, to not take what your child says personally, to keep focus on behaviors instead of what you think the reasons are for your child’s misbehaviors, and if you ever get angry and say or do something you regret, to always go back and say you are sorry (Burke, 1997, pg. 87-89). Positive consequences are used to increase or encourage desirable behaviors (Dodson, 1923, pg. 12). Catching your child doing good acts and following directions are great examples of when to apply a positive consequence. Positive consequences can range from short term rewards (such as candy and extra play time) to long term rewards (such as trips and gifts). Also you must use positive consequences that will work for your child, as well as using consequences that don’t cost money (e.g. helping mom while she loads the groceries into the van for being so good while in the grocery store shopping). Creating a reward system can be helpful in shaping behavior (Dodson, 1923, pg. 13). A list of actions you want him to do less of and rewarding him when the opportunity to disobey is given but avoided, and a list of actions you want him to do more of (Dodson, 1923, pg. 13). Everything listed above will give you clear expectations of when and why positive consequences are given. Negative consequences are defined as, “adding a negative consequence to prevent or decrease a certain behavior, which is problematic, or taking away something that the child holds dear” (Hurlock, 1929, pg. 87). Doing extra chores in the house, taking away a positive, and having no television for the night are examples of negative consequences. Children will soon realize that the behaviors that are causing these consequences are to be avoided. As Burke states, “finding a negative consequence that works effectively is quite a challenge and if your child misbehaves remember to stay calm” (Burke, 1996, pg. 47). Staying calm and focusing on one will help your child learn the appropriate behaviors. Everything mentioned prior would hold absolutely no water and crumble to failure if it is not being done with consistency. Consistency is the “backbone” to discipline (Cutts, 1952, pg. 7). As Cutts states in his book, Better Home Discipline, “You must be consistent in what you ask and forbid and in what you punish…if not, inconsistency between both parents could lead to certain paralysis (Cutts, 1952, pg. 7).” To a child, inconsistency gives double messages; children need to know where they stand in their behaviors (Braga, 1975, pg. 31). Consistency is the key to being a successful parent, showing the child that you are reliable and serious. Do what I say and not what I do is a common phrase that is often repeated; however it only confuses children. Children will not do what the parent says, since they will do what the parents have modeled. Children model the behaviors that the parent has presented to them time and time again. Looking at the messages one sends to his or her child is easily seen by analyzing one’s own behaviors. The parents’ main goal is to always set a positive example that the children can model by (Burke, 1997, pg 150). Role playing proper behavior with the child is another way of role modeling. Role playing with your child is another method to teach your children proper behavior without resorting to the use of punishments or consequences. Each and every time you practice doing the right thing in a situation with your child; you increase the chances for their success and decrease the likelihood that your child will see that problem behavior in the future (Burke, 1997, pg. 97). Robert Eimers provides a simple four step role playing format helps parents teach their child appropriate behaviors. These four steps are one: 1) taking roles, swapping roles with your child, 2) set the stage, narrate the situation that occurred for your child; 3) begin the role play, and 4) give critiques by giving feedback on the performance, using praises when needed (Eimers, 1977, pg. 43). Techniques such as role playing can help a child to think in advance and rehearse adaptive responses to potentially frustrating situations, thus developing a more thoughtful and flexible response to the everyday problems that they face (Schaefer, 1982, pg. 112-113). Ray Burke states, “Praise is powerful. Praising your child is one of the most important things you can do as a parent. Praise is nourishment. It helps your child grow emotionally, just as food helps your child grow physically” (Burke, 1997, pg. 51). One could not have summed up what the effects of praise are any better than that. Praise is a method of keeping focus on the positive of any situation. Charles Schaefers’ book, How to Influence Children, states that praise is to give a “realistic, positive appraisal of a child’s performance” (pg. 230). The reason behind giving praise is to build up self esteem, to give a belief of personal satisfaction, with the addition of feeling secure within ones self (Hurlock, 1978, pg. 311). There is a sense of confidence that one has when one knows that someone has paid attention and has encourage them with a positive response, due to their efforts. Norma Cutts stated that praise makes you radiate “well-being” (Cutts, 1952, pg. 245). So in praising your child it will only encourage them to do well at whatever task they are faced with doing. Major Depressive Disorder: What are the Facts?